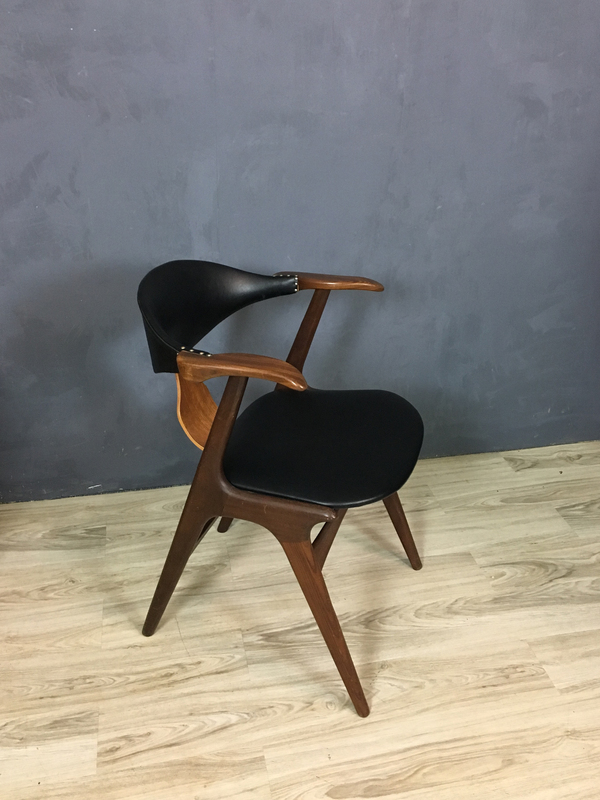 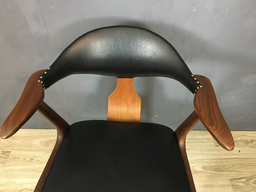 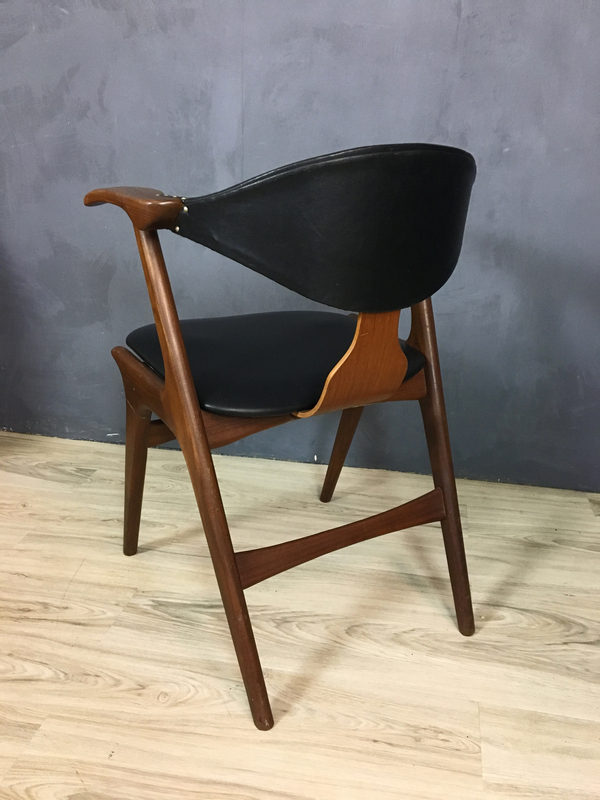 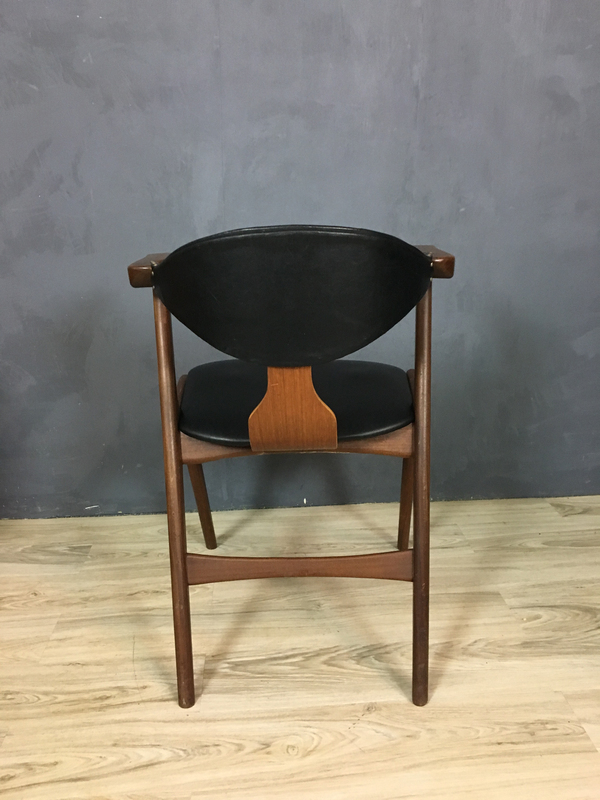 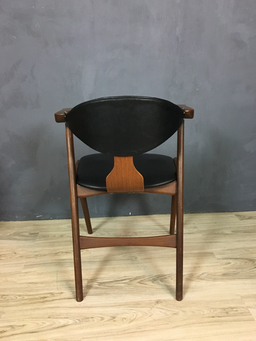 Solid teak frame armchair circa 1950s designed by Louis Van Teefelen for AWA in the Netherlands. Sculptural arms in the shape of cowhorns. Stunning and comfortable.